Description: Fault tree is embraced as a great method for safety reliability and safety analysis. 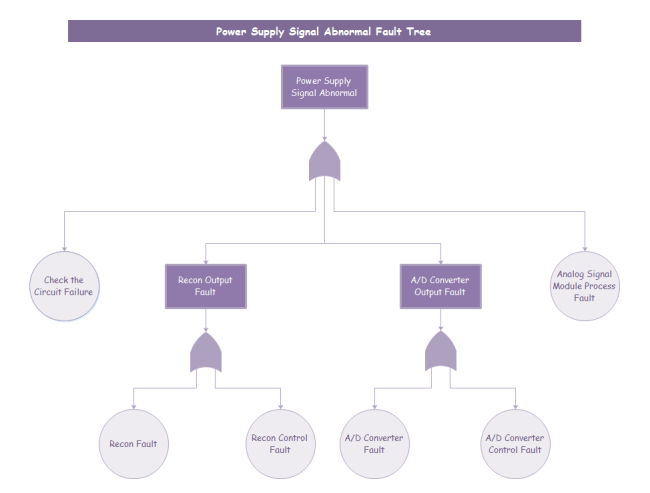 If you need to make a fault tree diagram but don't know where to start, try this power signal fault tree template. Downloadable and easily customizable, you can have this template in seconds and use its built-in symbols to create your own fault tree diagram.